Coriander benefits the skin, hair and overall health. It aids in digestion and helps in the natural treatment of urinary tract related disorders. Moreover, coriander is useful in dealing with allergies and infections caused by fungus and bacteria. For therapeutic purposes, usually coriander leaves as well as seeds are used. When used as a spice in culinary preparations, it helps avoid food poisoning. Moreover, coriander adds a distinct flavor in dishes. Scientific Name: Coriandrum sativum L.
This herb is native to the Mediterranean regions of the world. Coriander belongs to the Apiaceae family. Coriander has carminative, stimulant, stomachic, antiseptic, anti-bacterial, analgesic, anthelmintic, anti-inflammatory, expectorant, anxiolytic, diuretic, and aphrodisiac properties. It has compounds like Cineole and linoleic acid that relieve the symptoms of arthritis and rheumatism. Being rich in oleic acid, linoleic acid, palmitic acid, stearic acid and ascorbic acids, etc., coriander benefits health by reducing blood cholesterol (LDL) and hence, avoiding heart disease. In addition, it promotes healthy liver function, stimulates the endocrine gland, and lowers blood sugar. Plus, coriander helps cure issues like indigestion, diarrhea, stomach gas and flatulence as it encourages the production of digestive enzymes and juices. In fact, it is considered good for improving appetite. Besides, coriander is useful in getting rid of itchy skin, rashes and inflammation. This aromatic herb removes bad breath and heals mouth ulcers due to its natural antiseptic qualities. Furthermore, it strengthens the immune system and helps in detoxification of the body. This therapeutic herb is effective against harmful bacteria like salmonella, too. Coriander can also be used for relieving conjunctivitis and preventing macular degeneration. 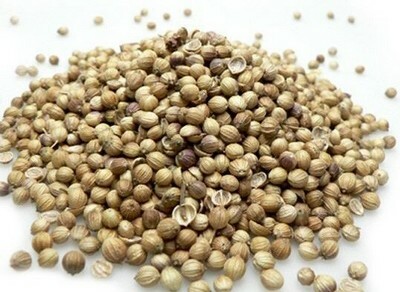 Coriander seeds help cure anxiety and insomnia. You can also soak in bath water mixed with coriander oil. 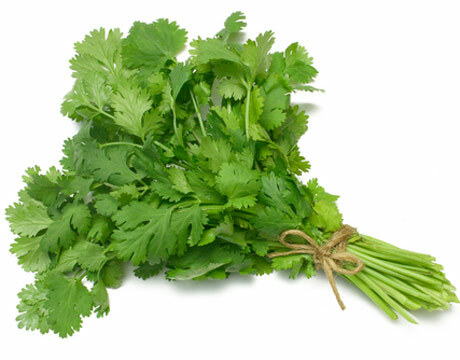 Coriander contains bioflavonoids that alleviate allergic reactions like hives and hay fever. In addition, this cooling herb heals headache and nose bleeds. It helps improve memory as well. Benefits of coriander can also be derived by breast feeding women in order to increase lactation. In terms of nutrition, coriander is rich in vitamin A, vitamin B-complex, vitamin C, iron, potassium, phosphorus, calcium, copper, zinc, magnesium, and dietary fiber. Moreover, it contains antioxidant properties. • Drinking an infusion prepared by boiling a teaspoon of coriander seed powder in a cup of water serves as one of the simplest coriander home remedies for indigestion. • Having buttermilk mixed with two teaspoons of coriander juice works as an effective natural cure for nausea and indigestion. Follow this therapy two to three times in a day. • Prepare an infusion by boiling a teaspoon of cumin seeds in a cup of water and add a teaspoon of coriander juice and a pinch of salt in it. Consume this solution two times in a day after having a meal to help control diarrhea naturally. • When dealing stomach pain and gas, take equal amounts of ginger, grated coconut and dry coriander seeds. Blend these ingredients well to form a paste and salt to taste. Consume this home medicine along with cooked rice. • Coriander benefits in providing relief from rheumatic pains and swelling by having a cup of coriander tea regularly. To make this tea, steep one teaspoon of coriander seeds in a cup of boiling water for about five minutes. In addition, you can apply crushed coriander leaves on painful joints. • Consuming a combination of rose water and juice extracted from coriander leaves can help cure cough. • Boil two teaspoons of powdered coriander seeds in a cup of water and drink the solution daily to lower blood cholesterol levels. • Crush about 20g coriander leaves along with little camphor and use the juice so obtained as nasal drops to stop nose bleeds. If camphor is not available then just use fresh coriander leaf juice. • Having coriander tea in the night before going to bed helps in the treatment of bedwetting. • Benefits of coriander can also be derived by gargling with coriander tea (when it is bearably hot) to heal mouth ulcers. Besides, you can apply a paste prepared by adding a little water in crushed coriander seeds. • Having coriander tea prepared by steeping two teaspoons of coriander seeds in a cup of warm water is valuable in treating anemia. This coriander home remedy is helpful in reducing kidney problems and osteoporosis as well. • Consuming a mixture of crushed coriander seeds and some sugar is useful in reducing belching. • Individuals suffering from the problem of vertigo can prepare a solution by soaking one teaspoon each of coriander seeds and dried Emblic Myrobalan (amla) powder in a glass of water overnight. Next day, in the morning, strain the liquid, add a little sugar in it for taste and drink the solution. Follow this therapy for a few days. • Boil a cup of water and add a teaspoon of coriander seeds in it. Let the solution steep for about 15-20 minutes. Finally, cool and strain the liquid. Washing the eyes with this decoction serves as an excellent natural remedy to reduce eye irritation and swelling associated with pink eye. 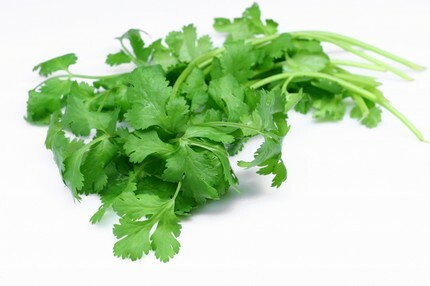 • Simply chewing fresh coriander is useful in relieving bad breath, especially when it is caused by medicines. You can also have coriander seeds along with sugar. • Crush some fresh coriander leaves and add some water to form a paste. Use this paste on skin to get rid of rashes. You can mix honey as well. • Applying fresh coriander juice on the forehead is useful in relieving headache. 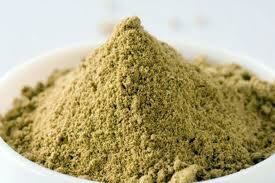 Besides, you can also apply a paste prepared by mixing powdered coriander seeds, sandalwood paste and some water. • Another health benefit of coriander is that it helps in dealing with heavy menstruation due to its hormone balancing quality. For this, you need to boil half a liter of water along with approximately 6g coriander seeds, add some sugar in it and drink the solution when it is comfortably warm. Consume this home medicine 2-3 times in a day. • Applying a combination of one teaspoon each of coriander juice and turmeric can help you get rid of pimples and blackheads. • Soak equal amounts of cinnamon, cardamom and coriander seeds in water overnight. Grind this mixture in the morning. Strain and drink the solution every morning on an empty stomach for a few days. This is valuable in the natural treatment of anorexia. • A combination of coriander seeds, milk and honey is helpful in curing fever. Coriander seeds can be included in gripe water preparations as well. It is also used in ointments for healing hemorrhoids. This aromatic herb is used in perfumery, too. It is used to flavor gin, vermouth, and liqueurs. Application of coriander oil on skin can give rise to allergic reactions and dermatitis. Although coriander benefits in a number of diseases, it is not considered good for children below two years of age. All in all, this herb does not usually cause any adverse side effects when taken in moderation. BE USED IN THE PREPARATION.